High Capacity Ink cartridges for your HP Photosmart 6289 printer. Genuine HP Photosmart 6289 Ink Cartridge. Genuine HP Photosmart 6289 Ink Cartridges. Genuine HP Photosmart 6289 Printer Ink Cartridge. Genuine Printer Cartridge for HP Photosmart 6289. Genuine HP Photosmart 6289 Printer Ink. Genuine HP Photosmart 6289 Inkjet Cartridge. This is one of the more expensive models from Hewlett Packard but it is very well designed and gives an excellent combination of quality build, stylish features and good performance. It rates second only to Canon for print speeds and would prove to be a reliable model for users who need fast output but do not want to pay the higher price that Canon is asking. 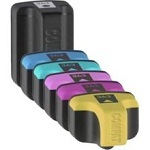 HP Photosmart 6289 ink cartridges come in a pack of six which includes the light cyan and light yellow hues. These extra colours help to make better photographic prints with more subtle colour tones. The high capacity HP Photosmart 6289 ink cartridges give triple the amount of prints compared to standard sizes. The HP 6289 delivers good print quality thanks to the 6 different colours that are delivered from HP Photosmart 6289 printer ink cartridges. 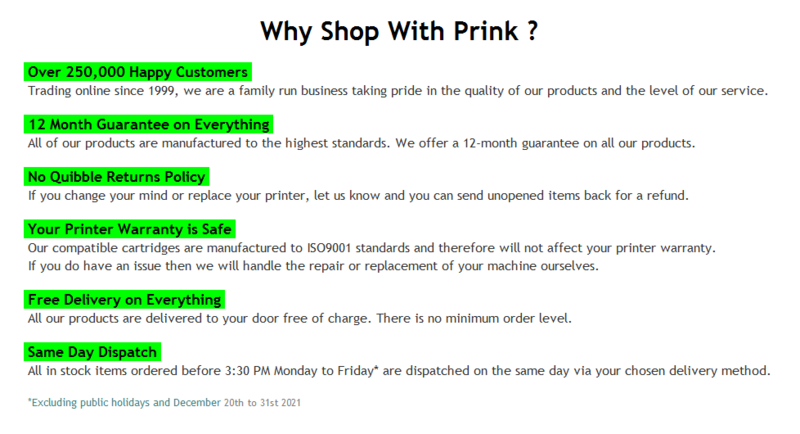 There are also HP Photosmart 6289 compatible ink cartridges which can be purchased from our website at low prices. These also give comparative results to genuine inks. 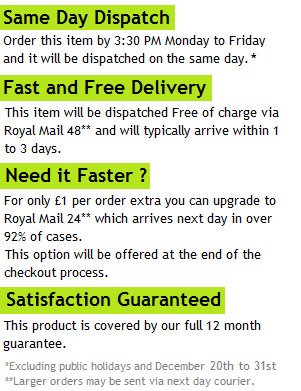 We offer a discount for multiple orders and there is no charge for delivery. All screen prices include VAT.